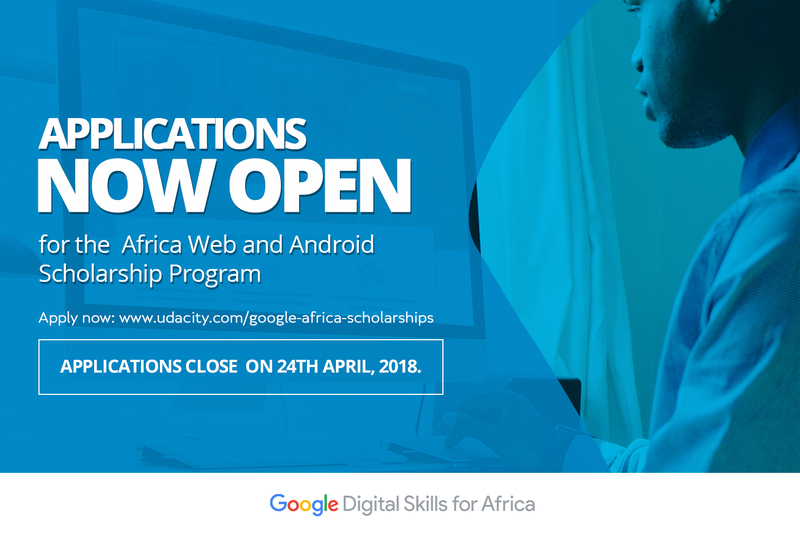 Last month, we announced the 50,000 Grow with Google scholarship challenge in partnership with Udacity. And today, we want to remind you to apply for the programs before the application window closes in just over a week on November 30th. 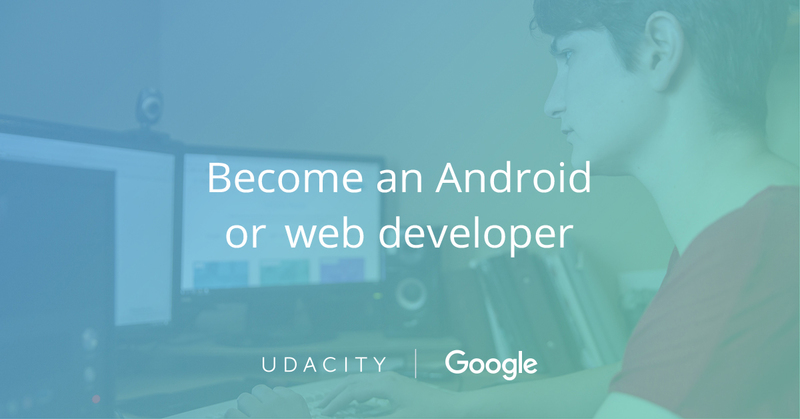 In case you missed the announcement details, the Google-Udacity curriculum was created to help developers get the training they need to enter the workforce as Android or mobile web developers. Whether you're an experienced programmer looking for a career-change or a novice looking for a start, the courses and the Nanodegree programs are built with your career-goals in mind and prepare you for Google's Associate Android Developer and Mobile Web Specialist developer certifications. 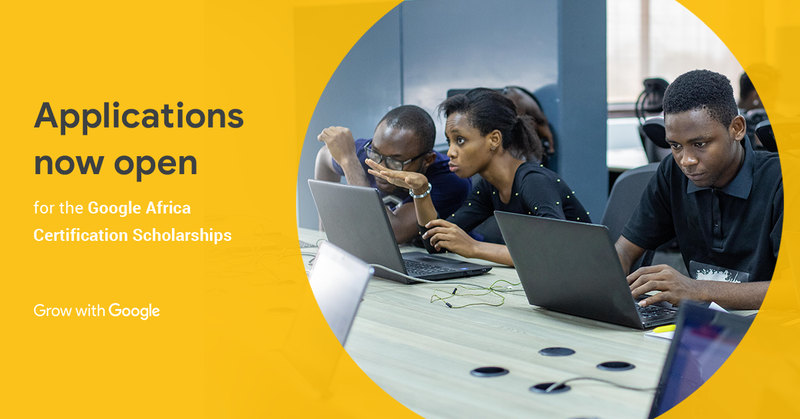 The scholarship challenge is an exciting chance to learn valuable skills to launch or advance your career as a mobile or web developer. The program leverages world-class curriculum, developed by experts from Google and Udacity. These courses are completely free, and as a reminder the top 5,000 students at the end of the challenge will earn a full Nanodegree scholarship to one of the four Nanodegree programs in Android or web development. 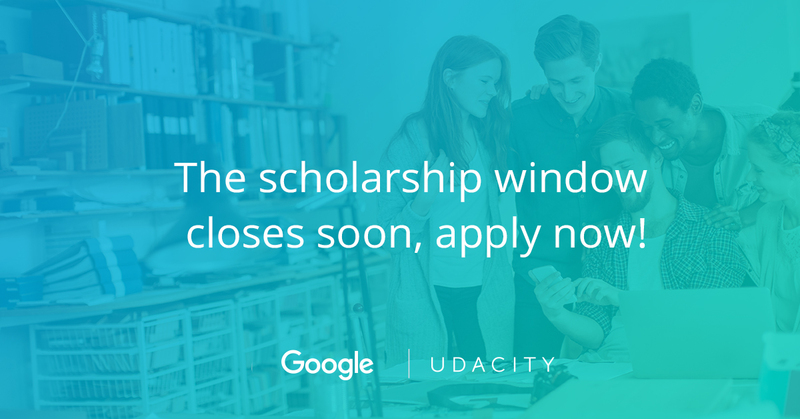 To learn more visit udacity.com/grow-with-google and submit your application before the scholarship window closes! This entry was posted in Google Developers Blog and tagged #growwithgoogle, Android, grow with google, Mobile web, scholarship, scholarships, Udacity on November 14, 2017 by Google Devs. This entry was posted in Google Developers Blog and tagged #growwithgoogle, Android, grow with google, Mobile web, scholarship, scholarships, Udacity on October 12, 2017 by Google Devs.